Wait—Did Mr. All-American Tom Brady Tell Oprah He Has ‘Respect’ for Players Taking a Knee? 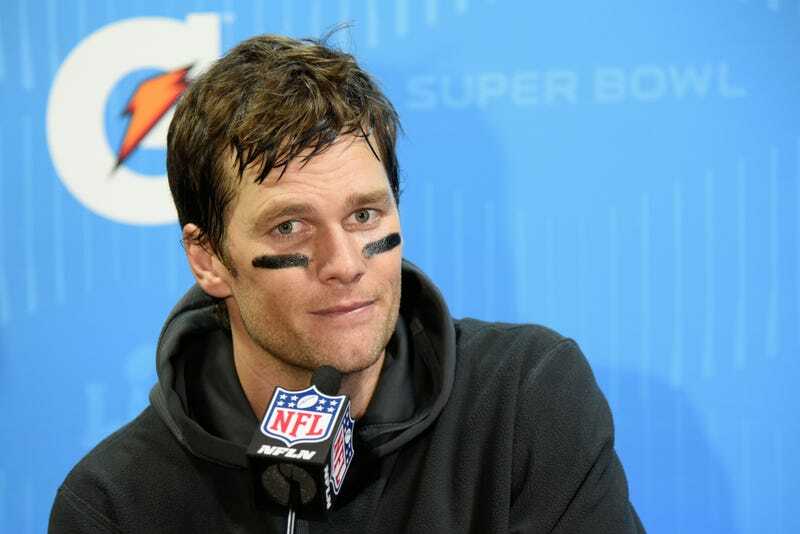 Tom Brady of the New England Patriots speaks to the media after losing 41-33 to the Philadelphia Eagles in Super Bowl LII at U.S. Bank Stadium on Feb. 4, 2018, in Minneapolis. I begrudgingly have to admit that Tom Brady, the New England Patriots quarterback I love to hate, is now less hated in the cockles of my heart because of a recent comment Mr. All-American made about the NFL protests. The pretty boy, who was at least at one time friendly with President Donald Trump—but who has also criticized our dotard-in-chief (Kim Jong Un’s words, not mine)—told Oprah Winfrey that he has “respect” for the players who chose to take a knee during the national anthem last season to protest the deaths of African Americans by law enforcement, with the carnage from those deaths captured many times on video, and oftentimes with no repercussions for the Death Eaters. He continued: “I respect why people are doing what they are doing. And they’re doing it for different reasons, and that’s OK. You know, you can do things for your reason. They can do things for their reason, and you have respect for that. But I thought it was great.” The interview in which Brady said this to Winfrey will air this weekend on OWN’s Super Soul Sunday. Brady also discussed his teams’ action last season, when the Patriots locked arms as they walked onto the field.